The Sudanese press is being harassed by the government. The new trend of state prosecutions raises the temperature for media outlets. The state’s move to create a special prosecution for journalist issues in el-Gezira means that editors are forced to travel to another state to appear before the prosecutor. 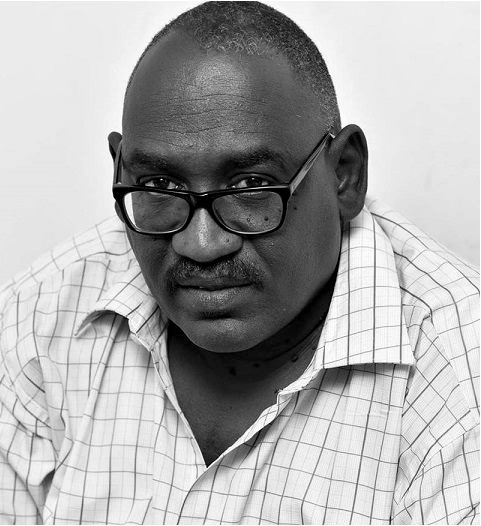 In an interview, Mohamed Abdulqader, Deputy Editor of Alrai Alaam newspaper, explained what the move means for Sudan’s already limited press freedoms and stressed that newspapers will do everything in their power to reverse the move. Q: How did the editors’ meeting happen? We arranged to meet after receiving numerous summons’ from the press prosecution in el-Gezira state. Othman al-Merghani, editor of al-Tayyar newspaper, was even escorted by five armed officials to the prosecution. I was also called to el-Gezira State and so was Adel Sayyed Ahmad, al-Watan editor. Othman al-Merghani’s treatment sent a warning signal to editors about the newly established prosecution office in Wad Madani, the el-Gezira state capital. Q: What was the outcome of the editors’ meeting? © Mohamed AbdulqaderThose attending the meeting said this step goes against the current norms. For example, the former Minister of Justice Abdul Basit Spedrat had actually cancelled all state prosecutions, meaning that the only effective prosecution office would be in Khartoum, where newspapers are edited and published. The editors said they would not attend the state prosecutor in Wad Madani, arguing that they would announce a number of responses if the MOJ refused to alter its plan. The editors agreed that this decision restricts the journalists’ activities and curtails the freedom of the press. They issued a statement calling for newspapers to challenge the decision in every possible way. Q: How could newspapers draw attention to their plight? Newspapers may stop publishing if they do not see an end to MOJ harassment. Sit-ins outside the MOJ or inside the Journalist Federation are also an option. Other possibilities will be made public in due course. Q: Why have you only decided to take action when editors are affected? Why didn’t you do more during previous constraints on press freedom? Editors have always put up with some pressures because they wanted to tackle other priorities, without causing more problems for themselves. The press has boosted awareness about different developments in the country and therefore we were surprised at this latest development. The move piles the pressure onto the Sudanese press, which is already suffering from economic problems. Issues, like paper shortages, are so great that papers may soon not be able to go to press -- but the government is not intervening to help. Editors need to work closely together in these difficult times. Q: Aside from the restriction of freedom of expression, what other implications does this development have? This decision is an aggression against the press. It does not aim to target editors, but rather seeks to restrict press freedoms by intimidating journalists from covering stories from the states. It aims to take state governors out of the media spotlight. I have been told that some governors had requested the creation of such prosecutions to punish journalists outside Khartoum. Q: Where does the Journalist Federation stand on this development? This step [editors' meeting] was held after informing the Federation. They praised our actions as a victory for journalists given that Dr. Titawi himself was a victim of state prosecutions when he was an editor. Our meeting was in keeping with goals of the Journalist Federation which also released a statement condemning the creation of prosecutions at a state level. Q: Was the Federation represented at the editors’ meeting? They did not send a representative but they were aware of the event. Q: What results do you expect? The Minister of Justice has acted positively. He met a number of editors and pledged not to create any prosecutions in other states. He also promised to consider the editors’ demands regarding the el-Gezira prosecutions. We expect more positive steps in this regard. The MOJ has to understand that the press is a key guarantor of justice. It raises important issues and criticisms. If the MOJ is really serious in combating corruption and improving the government performance in general it will realise that the press complements its own work.